Deities: Flower Goddesses, Divine Couples, Deities of the Hunt, Aphrodite,artemis, Bast, Diana, Faunus, Flora, Maia, Pan, the Horned God, Venus, and all Gods and Goddesses who preside over fertility. Flowers & herbs: almond tree/shrub, ash, broom, cinquefoil, clover, Dittany of Crete, elder, foxglove, frankincense, honeysuckle, rowan, sorrel, hawthorn, ivy, lily of the valley, marigold, meadowsweet, mint, mugwort, thyme, woodruff may be burned; angelica, bluebells, daisy, hawthorn, ivy, lilac, primrose, and rose may be decorations, st. john’s wort, yarrow, basically all flowers. Wiccan weddings are frequently held on or around Beltaine. I used to have a rock collection as a kid. I always wanted to “take a piece” of special places I visited home with me. I was particularly fond of smooth round white pebbles that looked like the moon. I like fossils and interesting formations. My mother threw it out one day when she dropped it on her foot. I got back into crystals when I grew a little older, I even did a course at the local college about crystal healing. That would be about 1996. It was a day course, I learned how to program a crystal, how to cleanse it and how to channel energy through them. It all seemed quite natural to me and reminiscent of how I felt stood on my mountain (it was not really my mountain). It was also “all about vibration” which also made sense to me as someone who’s how life had been immersed in music. The stones were “singing”, each voice being a little different but able to be “tuned” and harmonized with people and other crystals. When I left home I began to collect again. I managed to get some really lovely pieces (which I would never be able to replace) from large lumps of lapis but two large natural quartz points (a male and female) that I used to heal with for years. I thought I was pretty good with crystals. I had my personal stash and a “work” stash. Something I have to this day. 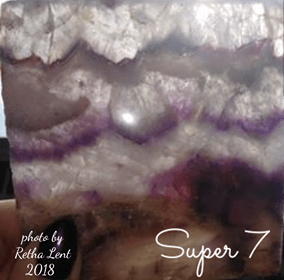 It was only when I met my darling husband did I learn that while I do know a lot, and have worked with crystals for years it’s at a very different level than him. I tend to joke that he is like Ludo from Labyrinth. He seems to be able call rocks to him, they just throw themselves at him. Rocks don’t just sing for him, they claim him as one of their own! I lost quite a few crystal early on this way! As you might imagine our house therefore has a LOT of crystals in it. There’s the large lump of fossilized tree “we” found on a walk in some gravel by the side of the road, just sitting by my computer monitor. There are the two large basalt rocks from Hastings beach just in front of me (one of which I named Gerald because why the hell not). Not to mention my large lump of rose quartz at the end of the bed. Or the huge holy stone, Shiva stone, desert rose, and natural amethyst point I can see currently on my altar. 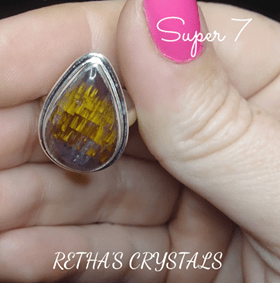 So what can a Bad Witch teach you about crystals? Well firstly anyone can find a way to work with crystals. Your way will be different to my way and almost certainly different than my hubby’s but that doesn’t mean that what you are doing is wrong. Beware of anyone who tells you otherwise too. Secondly be careful where you buy and gather from. Some crystals are extracted in some really environmentally unfriendly ways. Some stones are even reformed (by grinding them up and putting them in resin), dyed or heat treated. If you are going to gather your own, don’t be a jerk. Take a few but not just from any one spot and always with permission if it is needed. Some stones are toxic and dangerous. Certain kinds like fluorite, or malachite get their gorgeous colour from toxic chemicals (like copper carbonate hydroxide) and are sensitive to acids or even just moisture. Buy a good book. The Crystal Bible by Judy Hall is still one of my favourites. This means that when someone tries to sell you something that it clearly isn’t you can also be the Bad Witch who gets kicked out of the hippy shop for knowing when someone is bullshitting. Start with one or two. The first are usually quartz and amethyst, but equally you could start with flint or basalt. Work with them. Take your time and find out how you connect with them. It might be through touch, are they “hot” or “cold”? Do they have a “buzz” to them? Or a kind of silence? Do they “sing”? Are they like glowing bubbles of light and colour? Or something entirely different? Most crystals you buy (and often ones you find) will need cleansing. If you can (and most especially if they are bought tumble stones) warm soapy water is a good call (the general public do like to fondle crystals, and they are also generally gross). If you can’t use water (for toxicity or damage reasons) you can swab them with certain oils, smudge them with sage other cleansing herbs or with light (like sunlight or moonlight, being aware sunlight can change the colour of some crystals). Certain herbs and oils work really well with crystals (like moonstone, mugwort and jasmine) and don’t be afraid to read more than one book as I have known things in books to be wildly different from each other, and even from my own experience. Sing to them, play music with them. Make beautiful patterns or shapes with them. Carry them with you. If nothing else they are beautiful (and you can throw them at annoying people, only kidding). You are a piece of the sacred earth with you as She carries you. 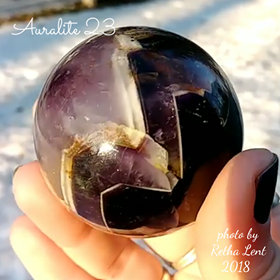 A blog by Silver RavenWolf for making witch balls for conjuring inspired me to try something similar as a project at a recent pagan gathering. The balls are made from herbs, essential oils and wax. They are meant to be thrown into a ceremonial fire, placed on an altar or in other spaces, added to mojo bags, or crumbled and scattered around an area. They are not to be eaten. The herbs and oils chosen will determine if the balls are for protection, cleansing, love, healing, abundance, banishing or some other intention. Although I made mine with wax, they can also be made using mud, clay, or a dough mixture of flour, salt, egg and water. After determining your intent, collect ingredients with those properties. I used a mix of about a dozen herbs, spices, resins and dried flower petals for a total of about three cups. Working in small batches, I melted wax and poured some into the herb mixture, stirring with a spoon because the wax is hot. Mix in just enough wax that the herbs will hold together. Working quickly before the wax hardens, use your hands to form small balls. Place them on waxed paper or tin foil and allow them to cool. Melt more wax, adding essential oils if you wish, and one by one, dip each ball and place it back down. If you wish, you can smooth the balls before the wax hardens by rolling them between your palms as you would a meatball. Dip each ball at least twice. The more layers, the more sturdy the balls will be. In all, I used a bit more than a pound of beeswax. Some people drizzled wax in a contrasting color over their balls. One woman added small gemstones to hers. Slivers of money, ashes of photos or documents that have been burned, grave dirt and charms can also be added, along with whatever else your imagination conjures or your intuition desires. Once cool, the balls store easily in egg cartons. Ah Fluorite, a crystalline beauty that is just a downright happy stone. 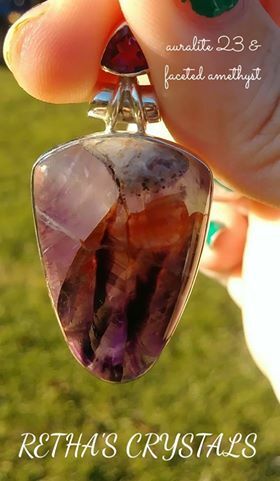 With purple being my favorite color it’s hard not to love a stone that so often showcases varying hues of it. Though Fluorite is known as a mental stone, each color has additional healing properties. The wide range of colors found in these crystals include purple, blue, green, clear, white, yellow, pink, red and black. Nearly encompassing every color in the rainbow, how could you not love this prismatic mineral? As you can see in the photo that I’ve included here, the pieces that I have range in colors from purple, to blue, to green. Most are known as Rainbow Fluorite because they contain more than one color. The Fluorite in the lower center of the picture is my newest addition, its growth pattern is cubic and it has numerous phantoms within its cubes. Fluorite is known for aiding in mental clarity by removing any mental clutter, and bringing ideas to the forefront, allowing you to clearly see a path to fruition. Purple Fluorite is known to enhance mental acuity and purifying the mind. Assisting in psychic clarity, place Blue Fluorite on your third eye during meditation. Green Fluorite works well with the heart chakra, aiding in healing the heart of past traumas and balancing the heart and mind to ensure that both are aligned on the same path. 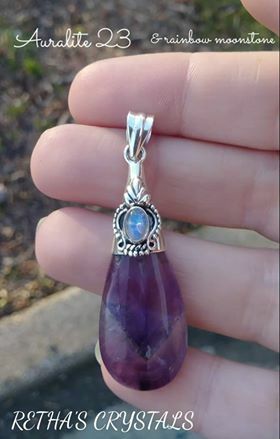 When I have a lot of projects going on at once, and start to feel a bit overwhelmed, I will often grab one of my Fluorite pieces to help me regain focus. It’s such a proficient organizational stone that I would be lost without it. 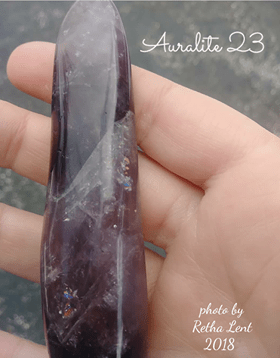 Whether you’re trying to get things done at the office or projects around your home, or maybe you just feel like you need to center yourself, Fluorite is a beneficial mineral to have in your crystal arsenal. Soft pink in color, Rose Quartz has a way of inviting you into its loving aura. It’s obviously a therapeutic stone for the heart chakra but really this crystal has the ability to harmonize with all of the chakras. Each chakra resonates with the loving energy that flows from Rose Quartz, gently drawing off any negative energy and replacing it with loving vibes. Rose Quartz is undoubtedly a powerful crystal with the purist love energy. You’ve probably heard or have been told to add a piece of Rose Quartz to your bedroom nightstand to revitalize your relationship, this is great but can also be overwhelming. If the energy feels a bit overpowering just add a piece of Amethyst to bring the good loving vibes down a notch. Amethyst is also a loving crystal just not as intense as Rose Quartz, so they work well together and compliment each other nicely. This crystal is my go to when I’m feeling low or down on myself. Meditate with it and allow its loving energy to envelope you. 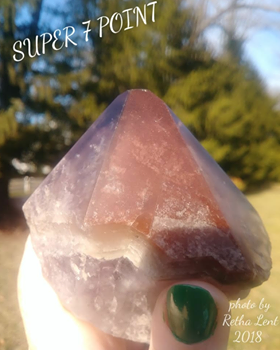 In my opinion this lovely stone is one of the first crystals that I would suggest when someone is just starting on their crystal healing journey. You just can’t go wrong with a crystal that emanates unconditional love, emotional healing, infinite peace and gentleness. In my previous article I spoke about creating sacred space in the work place. Since then my boss has had to close her business, so I was left trying to figure out what I was going to do with all of my crystals that were in my work space. I have crystals scattered throughout my home, but I don’t have a dedicated crystal room per se. My twin boys are grown and have moved out, which has left me with two rooms that have remained untouched since they’ve left. That’s when I had an ‘aha’ moment, why not turn one of their rooms into my own personal sacred space? So I set myself to packing up my sons things (with my sons approval) and cleared the walls of all the posters and tacks (tacks are now my nemesis). After a lot of sweat and I have to admit some tears (so many memories packed into one little room), it has now been transformed. As a thank you gift my boss gave me the antique dresser that’s pictured, it’s the most beautiful piece of furniture with the perfect amount of space to hold my little pretties. The drawers are filled with tarot decks, incense, books, pretty much any of my magical accoutrements that I didn’t have surface space for. I turned my sons bed into my reading nook, topped with the softest pillows and my Goddess dolls. The bookcase headboard was also another wonderful addition to hold some of my larger crystals like the 26 lb. 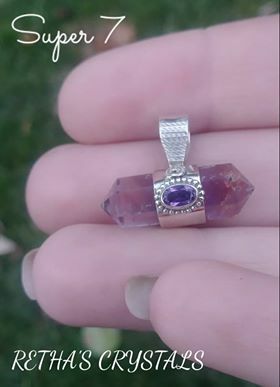 cathedral Amethyst my husband bought me for Mother’s Day. My friend asked me how I decided where each stone was going to go? Honestly I feel as though the stones just go where they want to. I unwrapped them all and laid them out all willy nilly, and seriously thought, where in the world am I going to put all of these? I felt a bit of panic creep in as I imagined that I wouldn’t have the space for all of them in the room, so I closed my eyes, took a deep breath and just let it work out as it should. When I was done I kept looking around to see what I had forgotten but sure enough each stone found a nook and cranny to call home. I’m still lacking some wall adornments but it’s a space that I can meditate in, drum, pull my daily tarot`s, greet and touch my crystals and really just be. Of course when you create sacred space in your own home it doesn’t have to be as involved as this, just use whatever space you have available, then close your eyes, let the energy of your space surround you and just be.